Have you ever wanted to see real-life versions of the outfits from Yakuza? Sure you have! 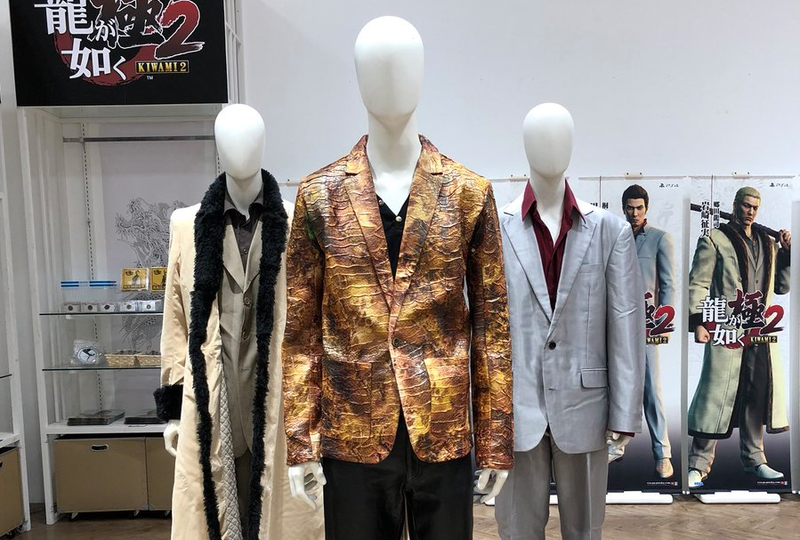 For a limited time only, there’s a Yakuza Kiwami 2 shop at Shinjuku Marui Annex in Tokyo. The shop has items available for purchase, such as Yakuza branded rice bowls, ashtrays, stickers, sweatpants, bracelets and bathing powder. As spotted by excellent cosplayer Omi Gibson, there are also recreations of the outfits Yakuza characters wear. The threads appear to be on display only. Back in 2010, however, official Yakuza tracksuits did go on sale in Japan for a mere $900. The Yakuza Kiwami 2 shop will be open until January 31. Dress Like A Yakuza For Only $900!